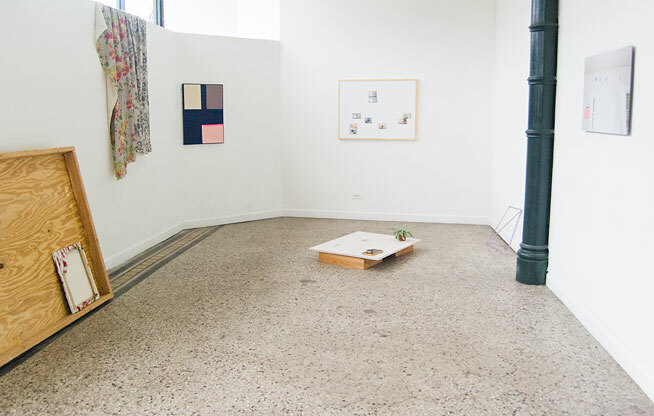 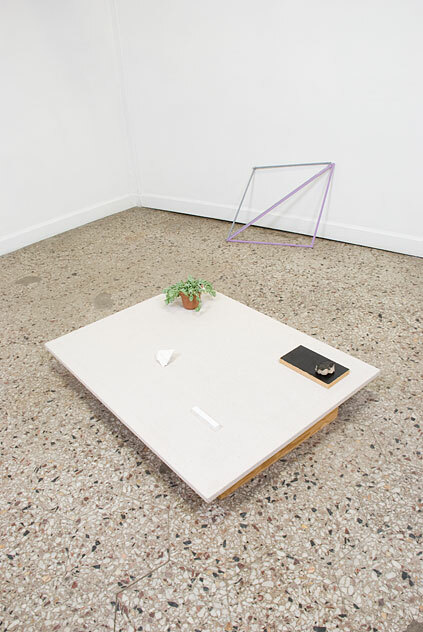 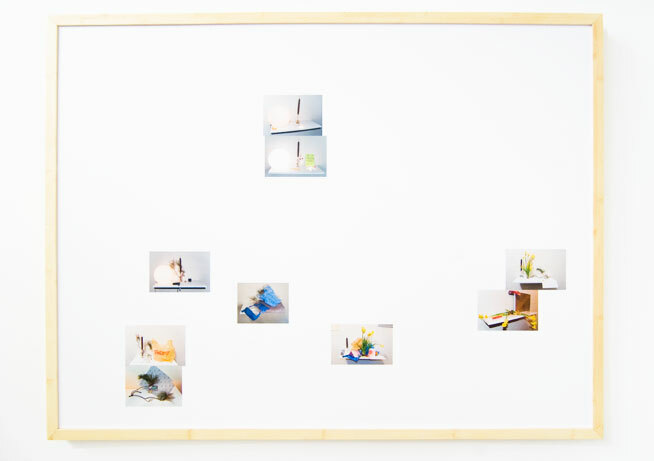 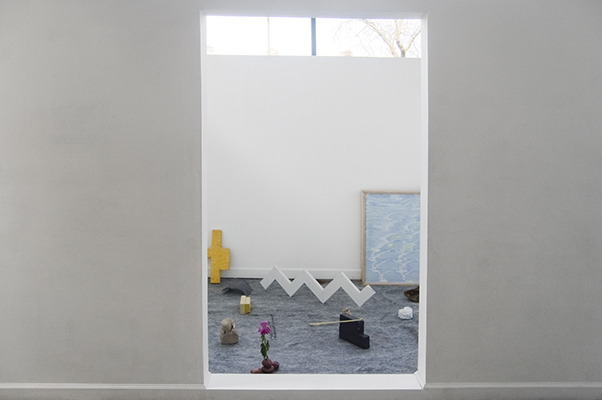 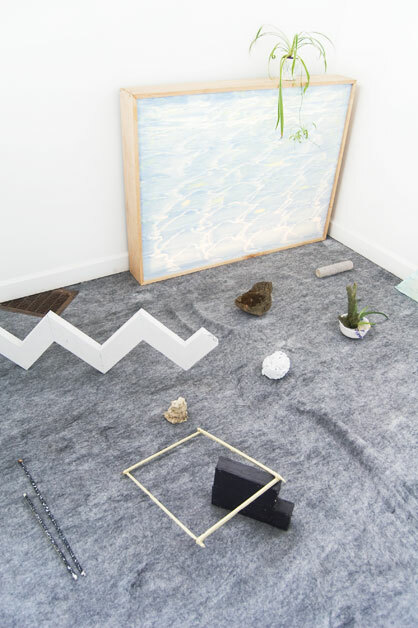 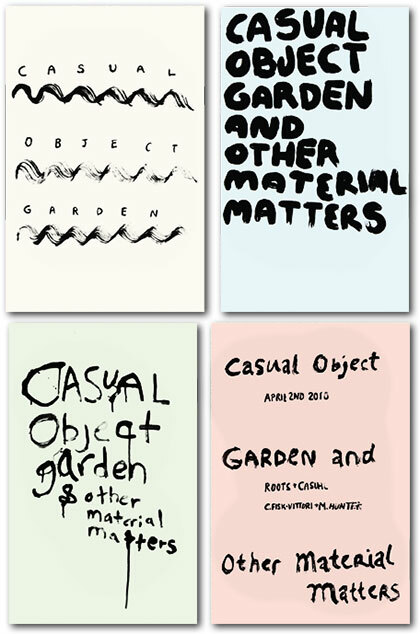 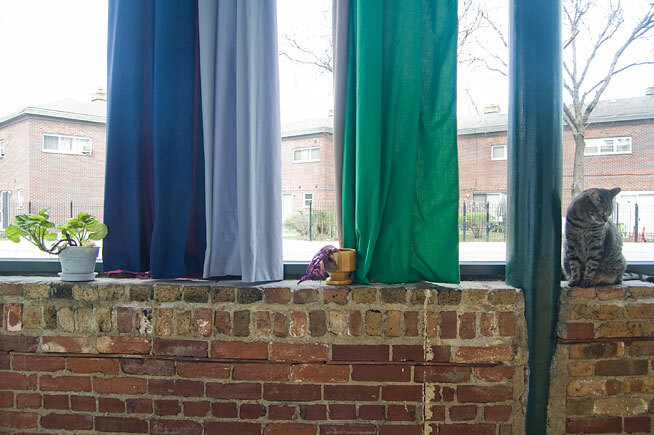 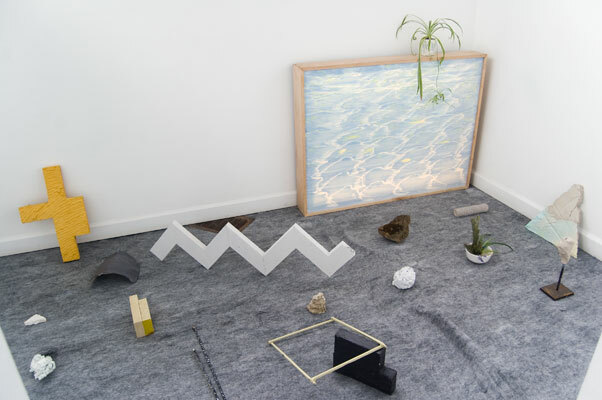 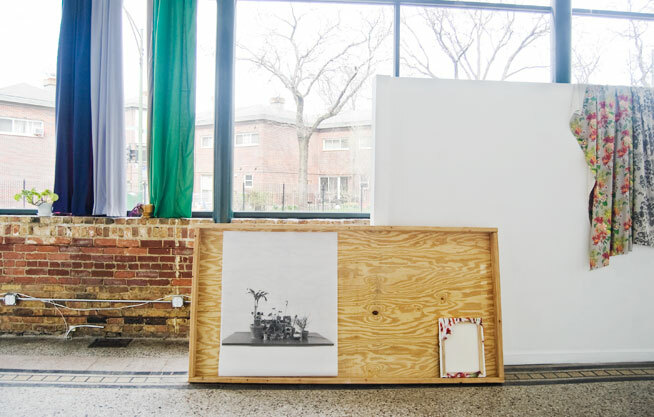 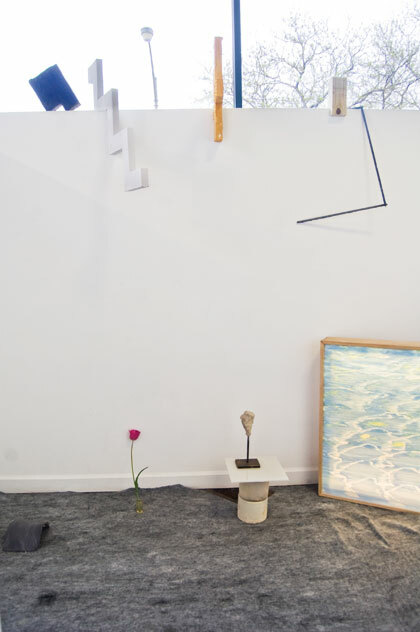 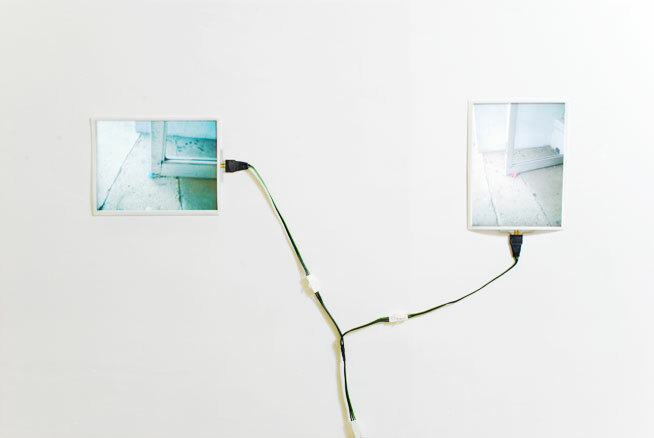 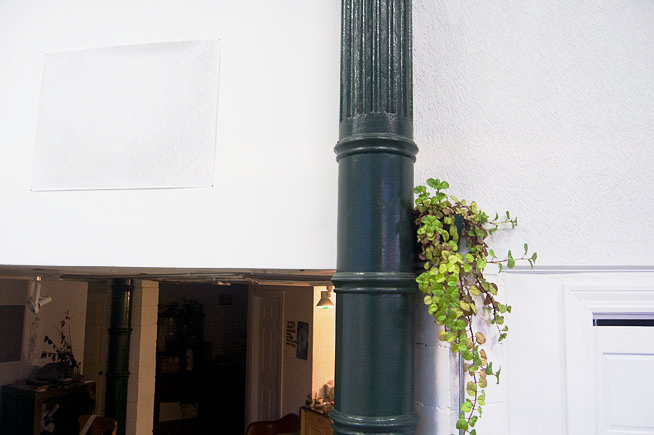 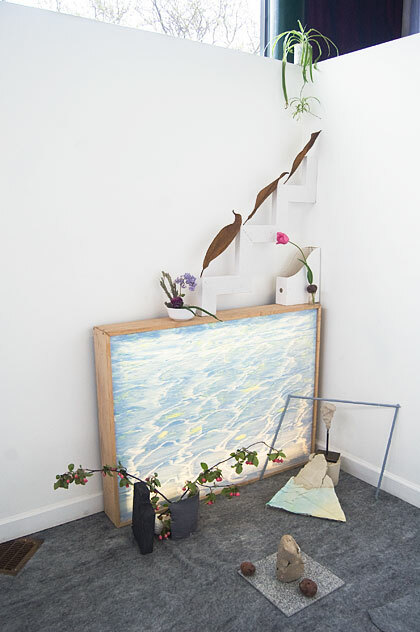 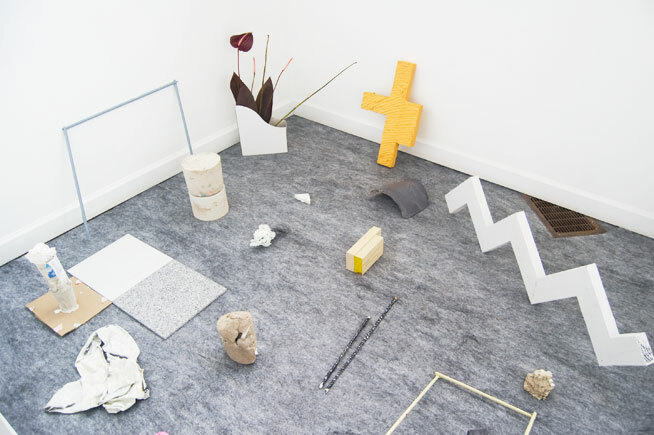 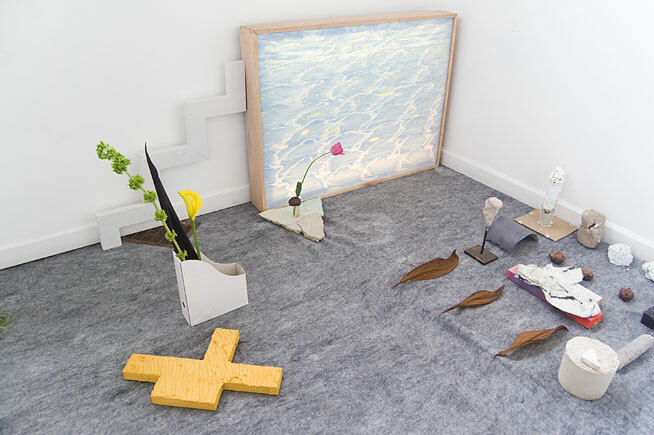 Casual Object Garden and Other Material Matters is the presentation of individual and collaborative works by Carson Fisk-Vittori and Michael Hunter. 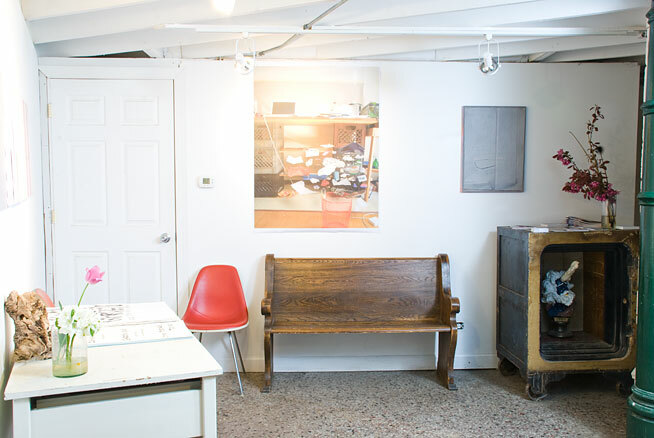 Both artists create work through the accumulation, arrangement, juxtaposition and presentation of found and created objects. 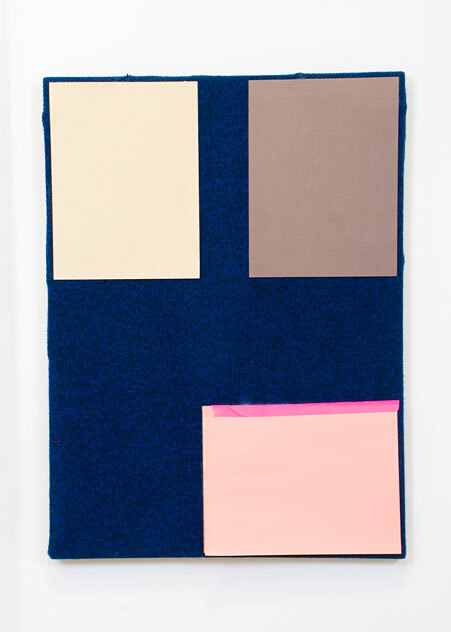 Rather than materials serving a predetermined conceptual notion, each work evolves from the artists’ intuitive relationship with his or her materials. 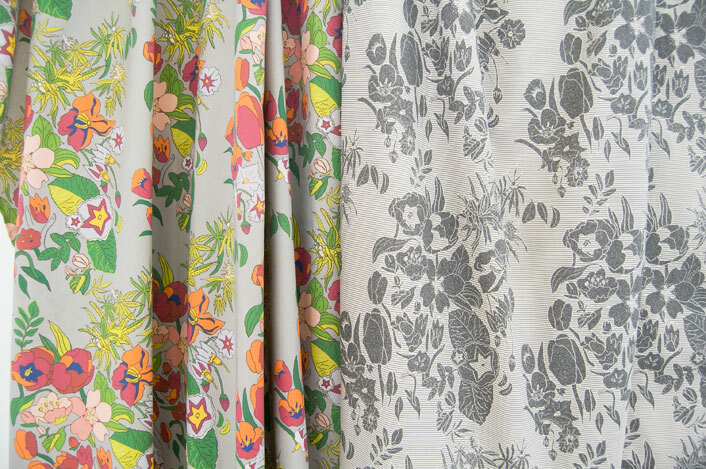 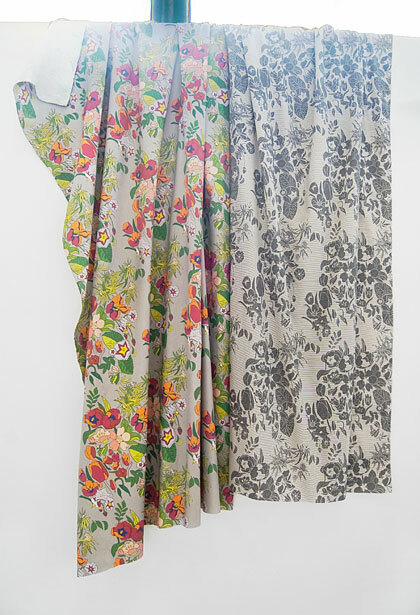 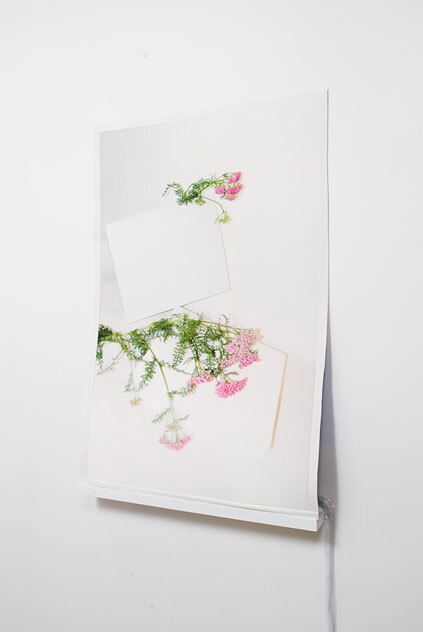 Through constructed happenstance, Fisk-Vittori’s photographs, ikebana-inspired flower arrangements and textile designs reflect both casual and deliberate formation. 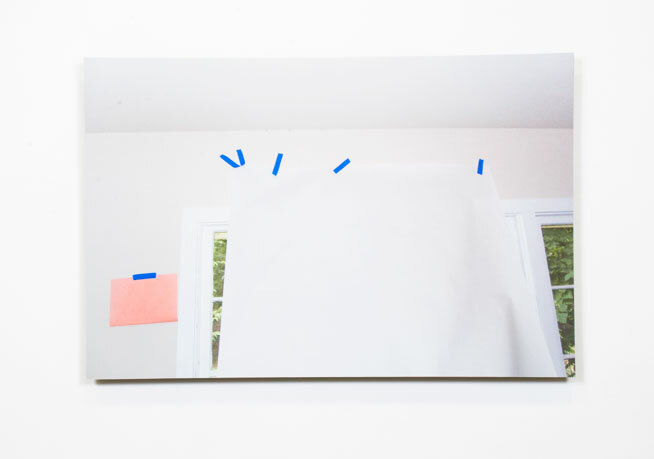 Hunter improvises his own modest sculptures and paintings through playful experimentation. 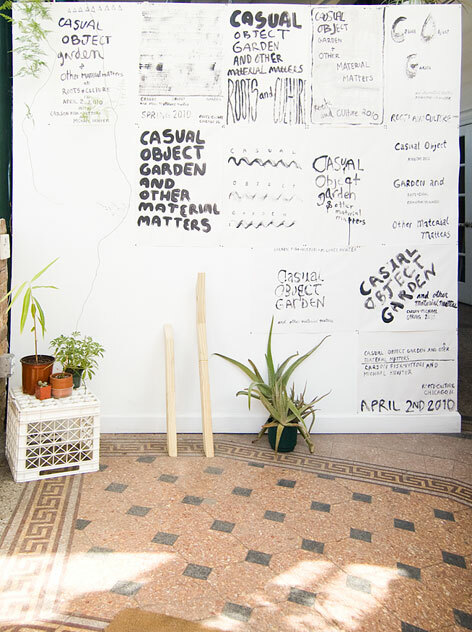 The cornerstone of the exhibition, Casual Object Garden, is a room-sized, collaborative tableau and the culmination of the artists’ mutual interest in spatial composition. 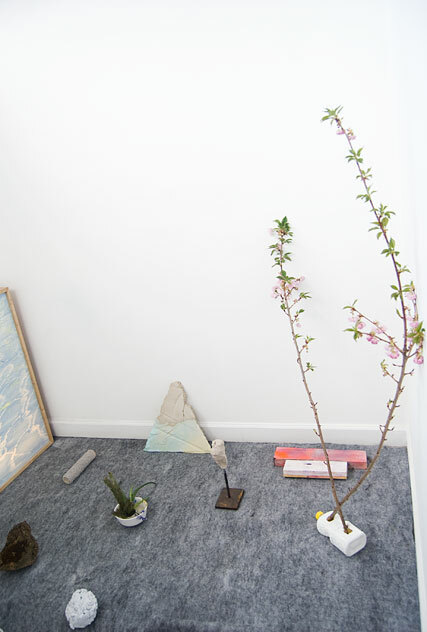 Otherwise familiar objects such as plants, household items, rocks and construction materials are rendered unfamiliar to the extent that formal qualities supersede practical associations. 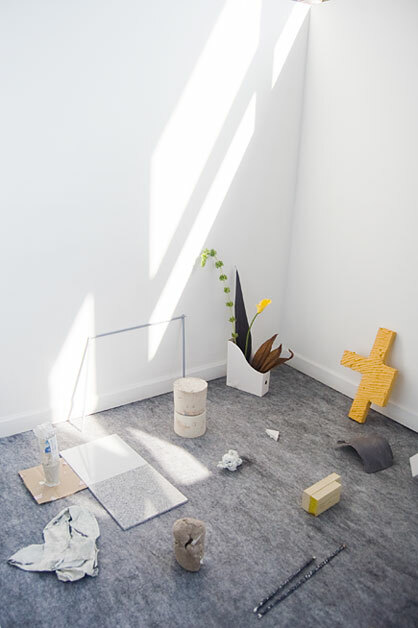 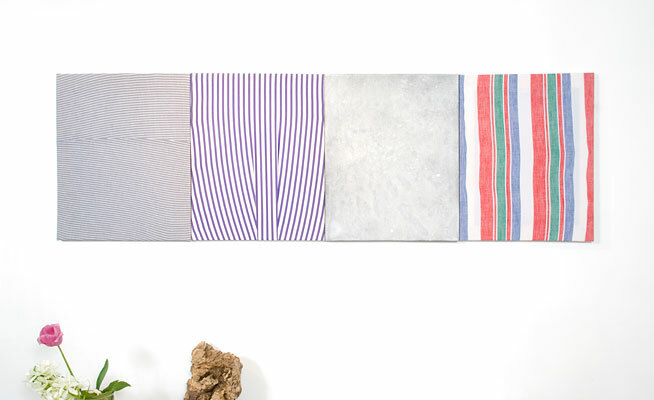 The elements that make up the work in Casual Object Garden and Other Material Matters are reduced to their material essence, allowing for a visual experience rich with understated affect.